Loom knit lace using only knit stitches? Yes, it's possible using this technique! 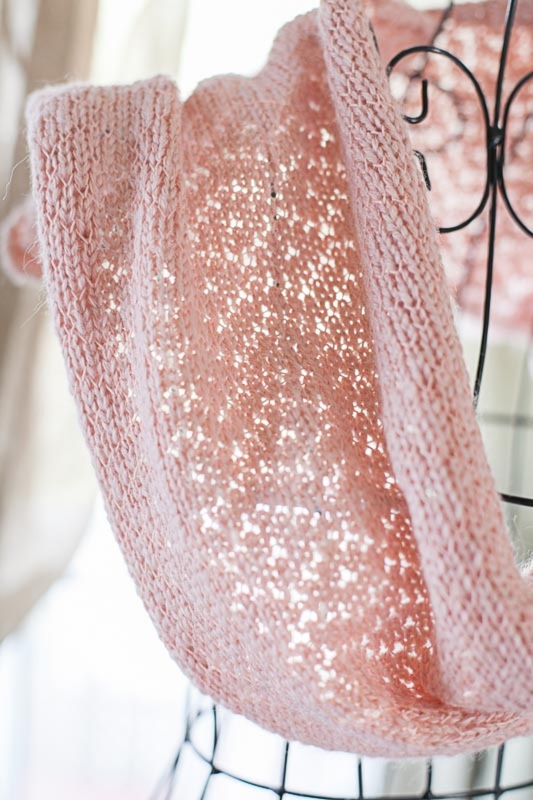 Lovely lace effects are made using knit stitches and thin thread to create lace-like holes in the knitted fabric. This technique was borrowed from machine knitting and translated to the loom. I’ve included 1 design that is used commonly in machine knitting the other 3 designs are my own original. 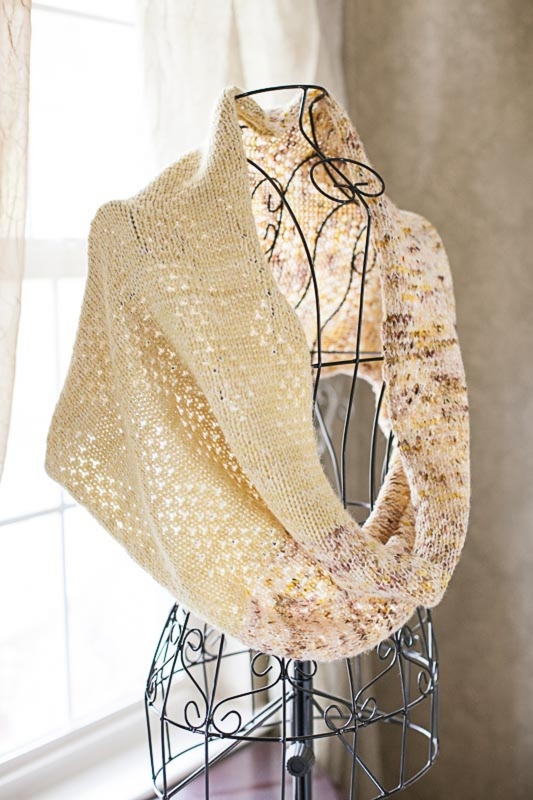 This technique has more in common with colorwork then actual lace knitting as it uses only knit sts (stockinette st). There are no moving of stitches or yarn overs. 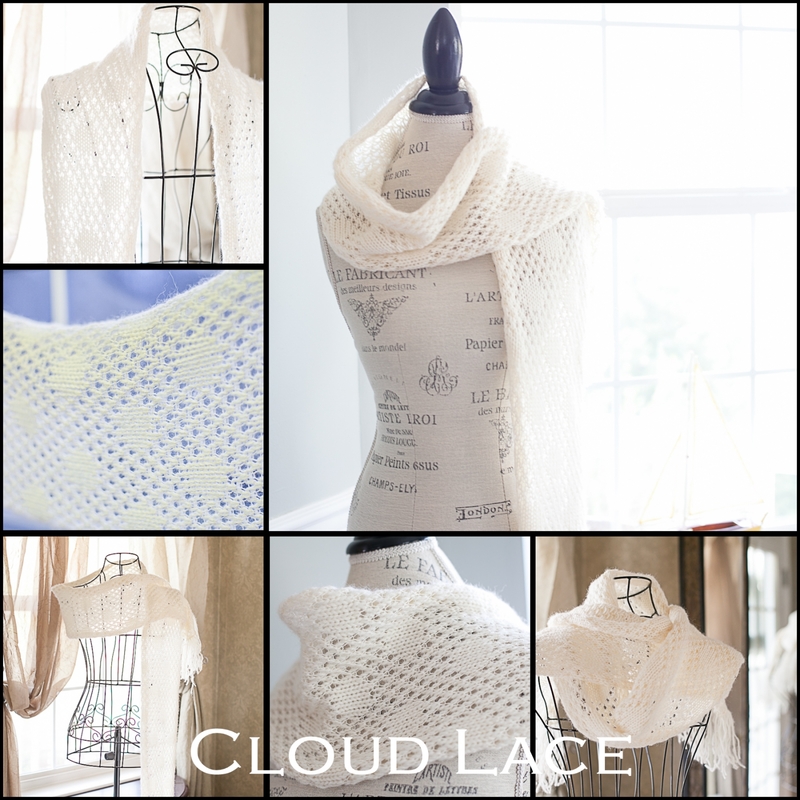 The lace pattern is revealed most when backlit but is just as lovely when not. 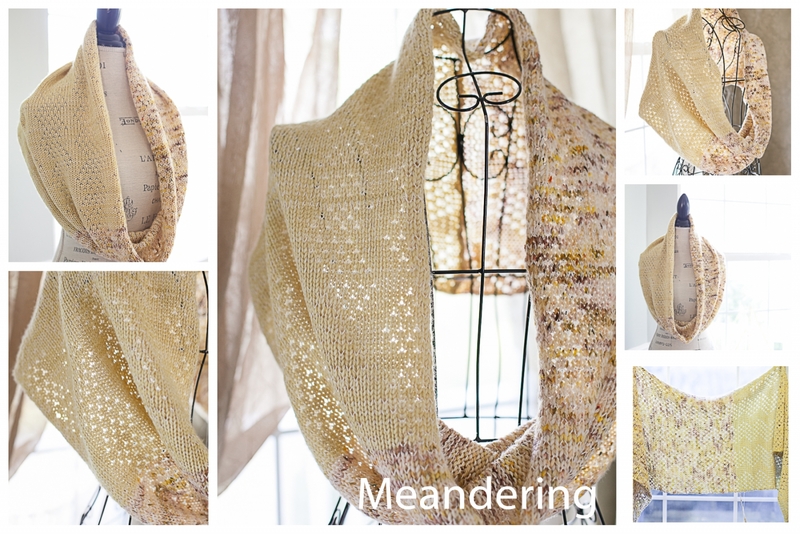 I’ve included pictures of the knitting backlit and what it will look like worn so that you can see both effects (please scroll through the pics before purchase). Please note that thread lace looks different than "true lace". -4 written and charted designs; Meandering, Cloud Lace, English Hills and Indecision. 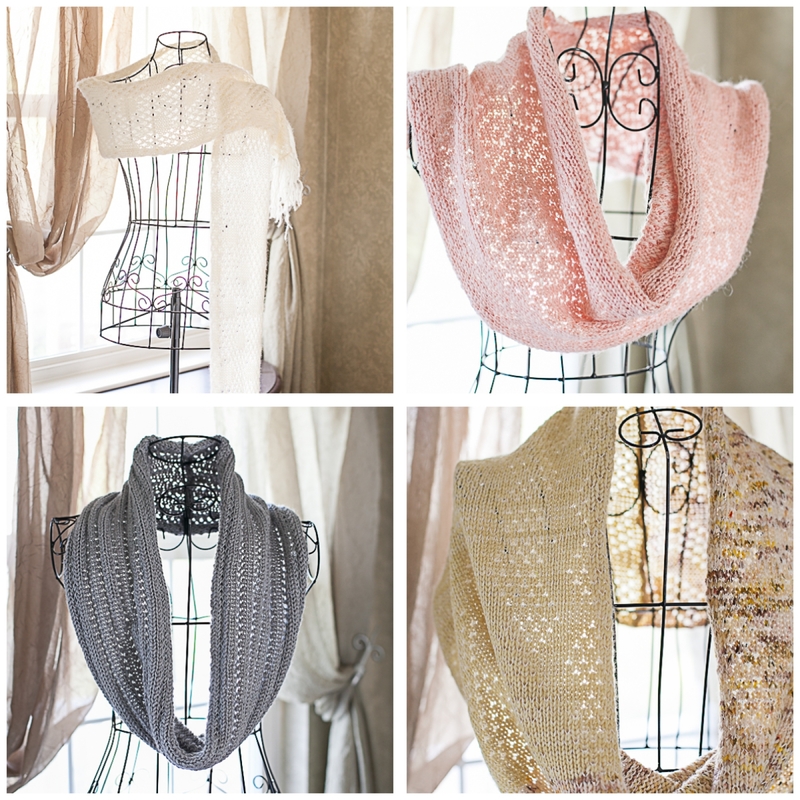 -How-to for drapey cowls, shawls, table runners, snoods and scarves, giving you up to 20 projects that you can do from this one collection. Level: Confident beginner. 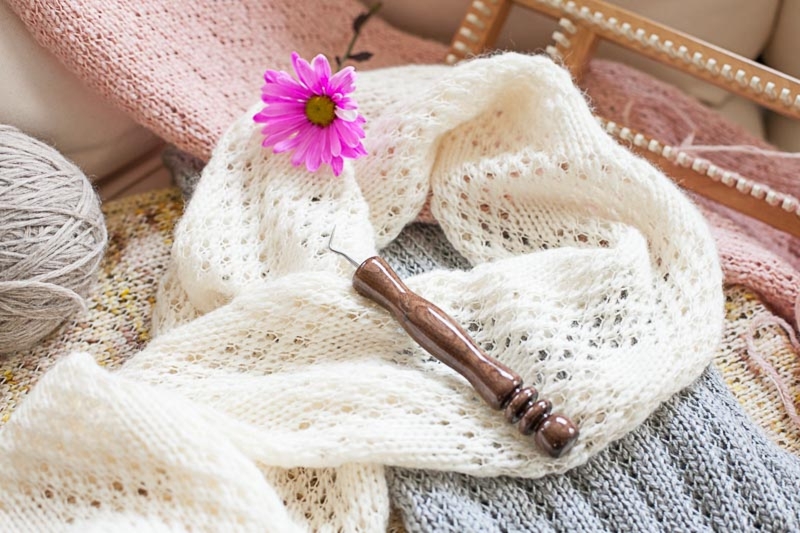 Do you know the knit stitch? 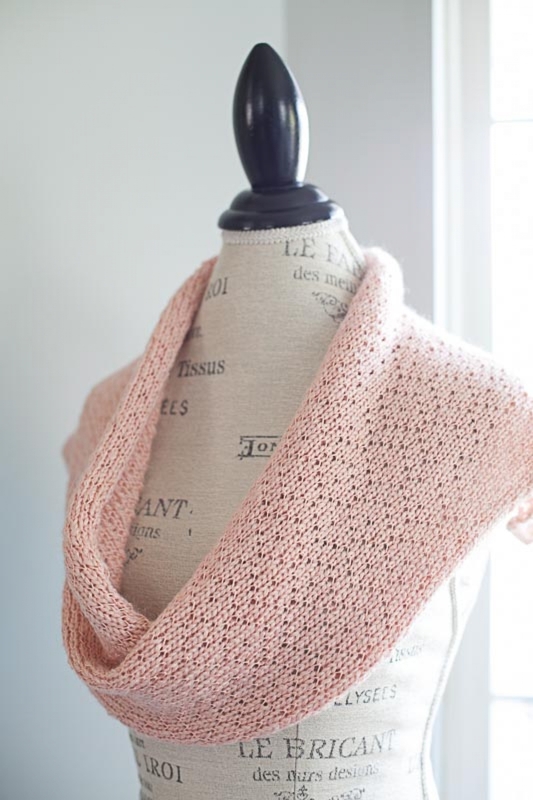 Can you work 2 strands of yarn? Read a pattern? 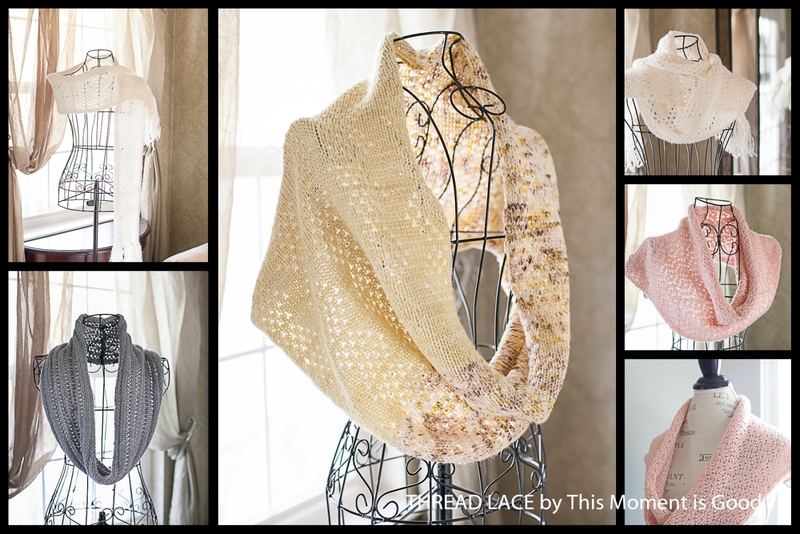 Then you can do this lace-look technique! 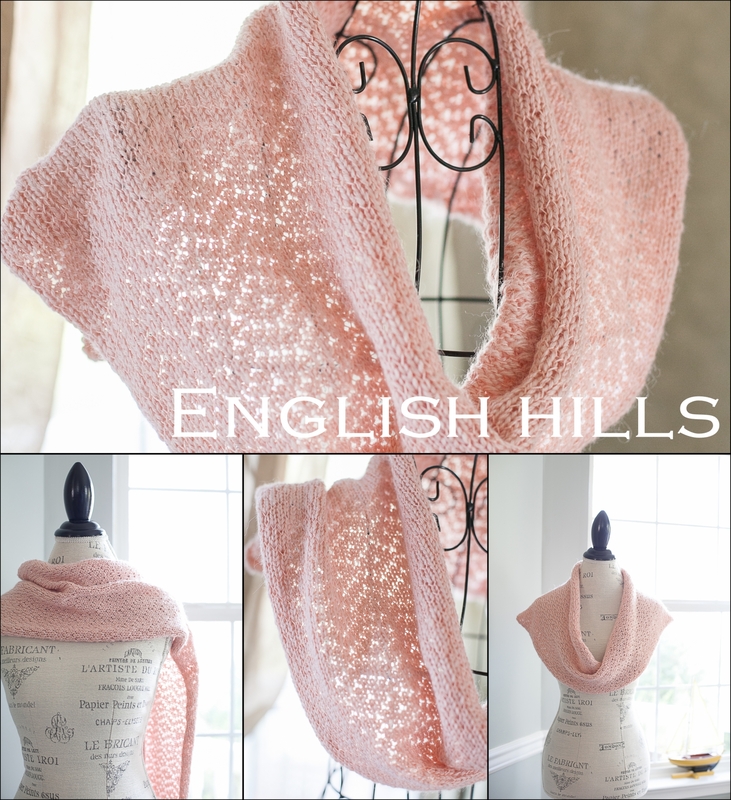 Skills Needed: Pattern reading, regular knit stitch (lace and border), purl (border only), chain cast on and bind off and working with 2 colors. Loom Needed: 3/8" peg spacing loom, you will need between 34 and 82 pegs depending on project. Yarn/thread amounts and Gauge: Because so many projects are possible (20+), the loom knitter will have to estimate yarn amounts depending on the project selected. Always buy more than you think you might need. 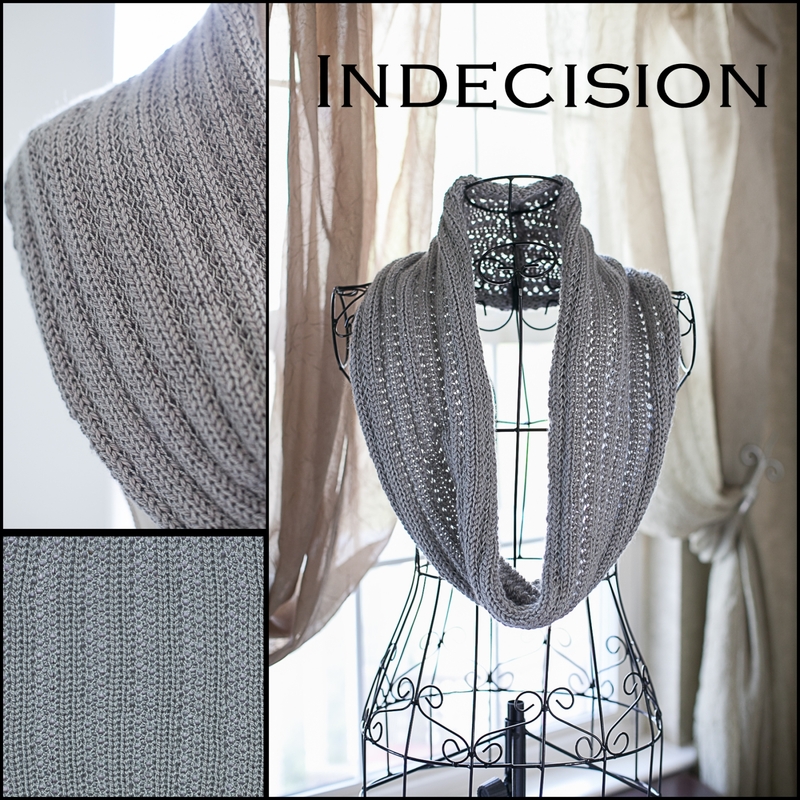 Gauge is not given because the yarn/stitch choice will change gauge. Thread lace grows faster than regular stockinette so you should be safe estimating the same amounts for similar projects. Buy the same yardage of thread as yarn.